The limited avenues for public oversight and control of settlement agreements. Furthermore, ISDS, when coupled with the substantive standards that it protects, is increasingly questioned as an effective policy tool because there is no empirical evidence of any resulting benefits. An important paper recently published by the Organisation for Economic Co-operation and Development (OECD) finds inconclusive evidence on whether international investment agreements (IIAs) lead to increased foreign direct investment (FDI), much less on whether any FDI that is influenced by IIAs is positive for host and home countries. Evidence is also inconclusive about whether IIAs contribute to the depoliticization of disputes or the improvement of domestic institutions. There is also greater awareness among states and other stakeholders of the need to design tailored policies to encourage certain kinds of investment that will maximize their ability to achieve the Sustainable Development Goals (SDGs), which may also mean discouraging investment that harms the environment, social structures, individuals or the economy in the host country. IIAs and ISDS are powerful instruments for investment protection, but do not treat foreign investment, much less FDI, with such nuance or purpose. They protect all covered investors and investments irrespective of the investors’ motives, including whether such protection is relevant to an investment decision or the investments’ contribution (or lack thereof) to the SDGs. Thus, in terms of governance tools, ISDS and old-generation IIAs are both inefficient, as they offer superfluous but costly benefits, and misguided, as they are capable of undermining policies for ensuring sustainable foreign investment. They are, in sum, ill-suited for modern realities. 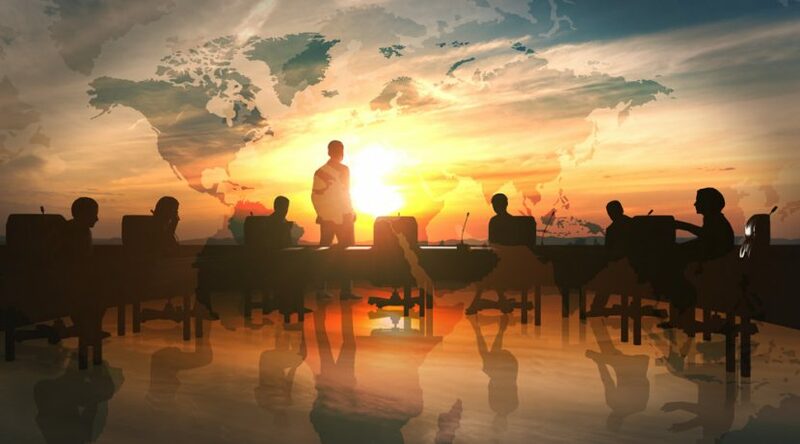 Growing awareness of and discontent with substantive IIA standards and ISDS has generated a call for a new direction in international investment policy making. Reform processes are now underway at national, bilateral and multilateral levels, and there are some promising initiatives, including at the United Nations Commission on International Trade Law (UNCITRAL). However, it is unclear whether these efforts will effectively address the origins of this discontent and, even if they do, how long such efforts will take. The UN Conference on Trade and Development (UNCTAD) has catalogued ways in which problems with old-generation IIAs can be addressed, including by means of treaty interpretation, amendment, replacement, consolidation and termination. Each of those options has advantages and disadvantages in terms of ease and effectiveness. One major hurdle to reform is the nature and number of agreements. They number in the thousands, with individual states often being party to scores of bilateral agreements. Amending or interpreting treaties on a treaty-by-treaty basis is time consuming and often ineffective in reaching an agreement with treaty counterparties. One potential avenue for addressing these issues is to adopt a new pluri- or multilateral instrument to reform multiple treaties at once. Indeed, this was the idea behind the Mauritius Convention on Transparency in Treaty-based Investor–State Arbitration, drafted within UNCITRAL. Although the Mauritius Convention illustrates a promising strategy, it also reveals challenges. As of March 1, 2018, eight years after UNCITRAL kicked off transparency reform, the Convention had three parties. This timeline and take-up on the relatively narrow issue of transparency indicates that broader and more comprehensive change to IIAs and ISDS may take years, if not decades, to realize. Some states are approaching reform through the creation of bilateral courts or through the creation of a multilateral investment court (potentially through the UNCITRAL process). However, it is still unclear whether a multilateral instrument will be ultimately agreed upon at UNCITRAL or elsewhere and, if so, whether it will meaningfully address identified problems or could create unintended consequences through the further institutionalization of problematic substantive standards. Moreover, it may be decades before the court is established and able to receive claims. While it is encouraging that some states are earnestly engaging in dialogues on reform, ongoing reform processes and any resulting policy measures remain substantively uncertain and may take a significant amount of time. In the interim, states will continue to assume the unjustified risks associated with the flawed ISDS system. In light of these issues, we suggest that reform-minded governments explore two near-term actions for addressing well-recognized concerns with the status quo system of ISDS, alongside their longer-term work at UNCITRAL or elsewhere on new models and approaches. These two near-term pragmatic options are: (1) withdrawal of consent to ISDS and (2) termination of investment treaties. Below we consider the advantages and disadvantages of these options, focusing on their legal and practical feasibility. Withdrawal of consent to investor–state arbitration may be a controversial course of action, but it would help to address state concerns with existing treaties while enabling countries to focus on developing a new approach. It would curtail the problematic interpretations given by ISDS tribunals to outdated substantive standards contained in old-generation IIAs. At the same time, it would signal state commitment to an international framework, as states would remain bound by obligations under existing treaties. Those obligations, however, would be subject only to state–state dispute settlement and thus less likely to result in unintended, inconsistent and unpredictable interpretations of controversial provisions. This option would also allow states to make it clear that the decision to pursue this path is not against foreign investment or international law, but against ISDS, and simply taken to responsibly and promptly address a now well-recognized problem. States can withdraw consent on a uni-, bi-, pluri- or multilateral basis. A jointly crafted instrument that states could then individually sign onto might help reduce negative messages and reactions. The effectiveness of this option is not certain, as investors are likely to challenge the legality of withdrawal of consent, and arbitrators could potentially find in their favour. Even so, withdrawal of consent may strike a useful balance between change and stability, continuing to provide treaty protections and dispute settlement, but tackling the issue of ISDS while reforms are ongoing. This option would seek to eliminate investment treaty obligations with respect to treaties that are viewed as outdated. For states that believe that the costs of their treaties outweigh their (undemonstrated) benefits, termination of existing IIAs arguably makes good policy sense. It would also give host states greater certainty regarding their potential exposure to claims or liability and could establish a clean slate on which host and home states could develop and implement policies that take into account evidence on attracting and governing investments in a manner consistent with the SDGs. A state can, as some have already done, unilaterally indicate its intent to terminate all or some of its treaties. States may also accomplish this objective through bi-, pluri- or multilateral agreements. A multilateral opt-in approach may lessen the pressure on terminating governments, allowing them to more clearly communicate that their actions are not directed against foreign investors but against ISDS and old-generation IIAs, and are taken in accordance with, and with continued respect for, international law. When termination becomes effective, states’ investment treaty obligations to foreign investors cease to exist, though states retain obligations under customary international law and other legal instruments. Notably, the termination approach can be hampered in its effectiveness due to survival clauses. Unless amended and stricken from the treaty at or before termination, those provisions can result in the treaty remaining in force—and subjecting states to ISDS—for 10, 15 or 20 years or more after termination. A challenge in both situations—withdrawal of consent and termination—relates to the reaction of treaty counterparties. A treaty counterparty could contend that such withdrawal of consent to ISDS would violate the withdrawing state’s obligations under the treaty or could resist proposals for early termination of the treaty or the shortening or termination of the treaty’s survival clause. However, as many states have publicly recognized fundamental and systemic problems with ISDS, it would seem disingenuous to persist in requiring a treaty counterparty to face claims through what is now widely seen as a flawed mechanism. As evidence of a state’s good faith efforts toward reform, states could waive objections to their counterparties’ withdrawals of consent, agree to their requests to terminate IIAs or agree to permit withdrawals of consent alongside unilateral terminations. In the case of withdrawal of consent, specify the treaties with respect to which it seeks to do so. In the case of termination, specify the treaties it seeks to terminate according to their respective terms and the treaties it wishes to terminate with immediate effect. In both cases, indicate its intention not to challenge its counterparties’ similar efforts to withdraw consent or terminate and, with respect to termination, its intent to waive any notice periods or other conditions. Set forth certain affirmations, including commitments to: (1) in the case of withdrawal of consent, continue to abide by substantive treaty commitments as intended by the treaty parties, and (2) in the case of termination, continue to provide foreign investors and investments treatment required by customary international law and other relevant legal instruments. In this sense, a state could make it clear that withdrawal of consent or termination is not counter to cooperation or international law, but a step necessary to set that cooperation on a more modern, productive path. Thus, although both withdrawal and termination could be done unilaterally, coordinated action would increase efficiency and clarify the legal and political meaning of such steps. To realize coordinated efforts, it would be important to identify a forum for the creation of a joint instrument onto which states could sign to accomplish one or both of these objectives. One option would be to hold working group sessions on this issue, which could take place alongside UNCITRAL, UNCTAD or other UN meetings. ISDS reform is underway in various forums, as countries deal with a stock of thousands of outdated investment treaties and try to align their investment policies with sustainable development. However, even those processes that are underway may not produce meaningful change for decades. In the near term, therefore, it is crucial for states to explore options such as withdrawal of consent to ISDS and termination in order to responsibly manage the risks and address the problems generated by existing treaties. Such steps would reflect a conscientious effort to govern effectively and equitably, and to move toward an international economic regime where treaties and their dispute mechanisms achieve their desired ends, produce legitimate decisions and do not undermine international cooperation and sustainable development. Lise Johnson is Head, Investment Law and Policy, at the Columbia Center on Sustainable Investment (CCSI). Jesse Coleman and Brooke Güven are Legal Researchers at CCSI. This paper is based on a longer discussion paper, available at http://ccsi.columbia.edu/2018/04/24/clearing-the-path-withdrawal-of-consent-and-termination-as-next-steps-for-reforming-international-investment-law/. Pohl, J. (2018). Societal benefits and costs of International Investment Agreements: A critical review of aspects and available empirical evidence. OECD Working Papers on International Investment, 2018/01. Paris: OECD Publishing, Paris. Retrieved from http://dx.doi.org/10.1787/e5f85c3d-en; Johnson et al. (2018). Costs and benefits of investment treaties: Practical considerations for states. Columbia Center on Sustainable Investment (CCSI); Bonnitcha, J. (2017). Assessing the impacts of investment treaties: Overview of the evidence. International Institute for Sustainable Development (IISD). Retrieved from http://www.iisd.org/library/assessing-impacts-investment-treaties-overview-evidence. See United Nations Conference on Trade and Development (UNCTAD). (2017, June). Phase 2 of IIA reform: Modernizing the existing stock of old-generation treaties. IIA Issues Note, 2. Retrieved from http://unctad.org/en/PublicationsLibrary/diaepcb2017d3_en.pdf. See the “rapporteurs report back” documents for the break-out sessions at UNCTAD’s High-level Annual IIA Conference: Phase 2 of IIA Reform (October 9–11, 2017), available at http://investmentpolicyhub.unctad.org/Pages/2017-edition-of-unctad-s-high-level-annual-iia-conference-phase-2-of-iia-reform. See the UN Treaty Collection, https://treaties.un.org/pages/ViewDetails.aspx?src=TREATY&mtdsg_no=XXII-3&chapter=22&lang=en (as of March 1, 2018). The Mauritius Convention entered into force in October 2017. Helfer, L. R. (2013). Terminating treaties. In Hollis, D. (Ed.) The Oxford guide to treaties (pp. 634–640). Oxford University Press (quoting L. R. Helfer. (2005). Exiting treaties. Virginia Law Review, 91(1579), 1602-05; internal footnotes deleted). See Helfer, L. R. (2013), supra note 6. Next article Next article: Achmea: The Beginning of the End for ISDS in and with Europe?